What had irked her was the announcement just made from the bimah, a few minutes before the start of Yom Kippur services, releasing the reserved but unclaimed seats for anyone who wanted them. But it was our rabbi who usually made the announcement. Why on this of all mornings was some gravel-voiced queen in Carol Channing drag declaring open seating? Because Rabbi Rosove had asked her. 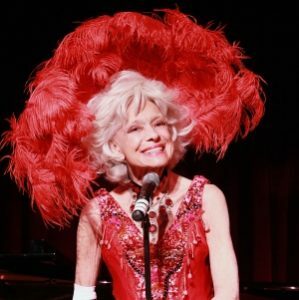 When Carol Channing — yes, the real one, that’s who it was — heard the woman’s lament, she let loose a rafter rattling laugh that could have come from only one diaphragm. She told me later that she’d never heard anything funnier in her life. I first laid eyes on her when I was a teenager. As a birthday gift to my mother, I’d written away for tickets for my parents and me to a taping of their favorite TV program, “The Merv Griffin Show,” and at the start of the show, the surprise guest who burst in from the back of the house was the star of the hit at the Shubert Theater next door, in full Dolly Levi get-up. Some 40 years later, for their 50th wedding anniversary, I was able to take my retired parents to see Carol do Dolly in Florida, on one of her innumerable road trips for revivals of the show. I first met Carol and her husband, Charles Lowe, in the ’80s, when we were panelists at a conference in Austin about movies and politics, and we hit it off instantly. After I was married, they took us to dinner at Chasen’s whenever they were in town. We sat in the round leather booths in the front room, and friends of theirs would drop by to say hello, like Jimmy and Gloria Stewart, and George Burns (after Gracie died, Carol subbed for her in his act). The waiters always made a fuss over Carol, but she never ordered any food. These were the years when Charles carried everywhere they went a huge leather tote full of blue cloth bags containing silver Tiffany boxes full of food that didn’t make Carol ill, which is what restaurants meals always did. One day, years later, she announced that she could eat anything, and from then on she did, ravenously. When my children were born, she virtually adopted them. They became, as she put it, “the talk of Chasen’s,” my toddler daughter in her booster seat on the banquette, my infant son in his rocker on the table, next to the signature seafood snow cone. “Aunt Carol,” as they called her (sometimes “great-aunt,” or “great-great-aunt”) became their de facto godmother. She embraced the role. “It’s a good thing I’m a Jewish godmother,” she said. “Otherwise it wouldn’t be kosher.” When she was on the road, she sent letters in red felt tip handwriting, sometimes with gifts like Teuscher chocolate fantasy figures. They got to see her play Dolly in San Francisco and Ft. Lauderdale. She got to see my daughter star in a youth production of “Annie Get Your Gun.” The audience of parents was abuzz; the rest of the cast didn’t have a clue who she was, other than Izzy’s Aunt Carol. It wasn’t always fun. The longer I knew her, the more I learned about the broken crockery in her life, the divorces and estrangements and gnawing disappointments (she never got over Barbra Streisand’s playing Dolly in the movie), the more some of her heartbreaks rhymed with mine. 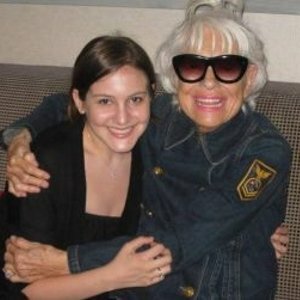 Wow — Carol Channing, depressed? That shouldn’t have surprised me. I was supposed to know the score; I’d had a front row seat in Washington and Hollywood, and I’d seen the messes made by the most glamorous and powerful lives. That still didn’t prevent me from buying into fantasies about the happy famous. Knowing Carol knocked that out of me. In her later decades, she lived in Rancho Mirage with her cousin and his wife, who adored her. In those years, when she was writing a memoir, we spent many hours many late nights on the phone, reliving in parallel the pivots in our lives. I discovered that we both believed that luck – bad and good – is as deep a mystery as HaShem, and that she was as lousy at letting go of regrets as Lot’s wife, or me.